I love to bead, but especially I love to teach beading and to show the way colors work together. Originally from Eugene, Oregon, I have been in the SF Bay area since the early 1970's. Now, happily retired, I am spending as much time as possible beading, teaching, and figuring out new techniques to teach to other beaders. My home and car are littered with beads, beading materials, books, and magazines. Not surprisingly, most of my friends are into beads, and bead related activities. I have been beading for over 25 years in the SF Bay area and teaching for over 13 years. 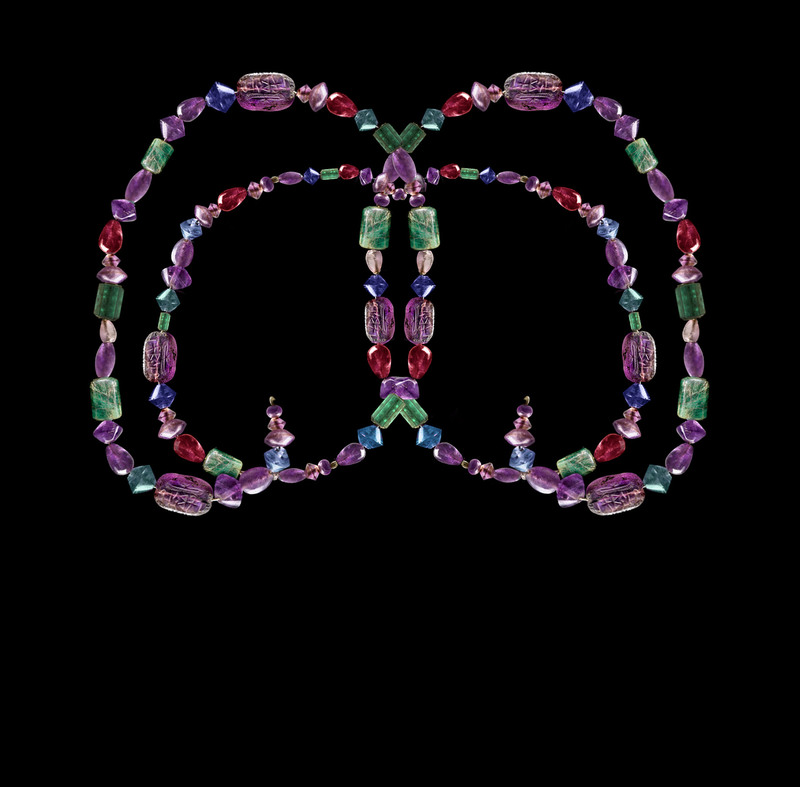 I have been published in Deb Moffitt-Hall's on-line “Bead-Patterns the Magazine” and have also been featured in “Beading with World Beads” by Lark Books. I love to teach beading ~ both the basics, as well as my own tutorials, but I also love to play with polymer clay and Kumihimo. The best part is when my students "get it" on a new technique. I love to spread the addiction. I currently work and teach at Beads and Pomegranate Seeds in Vallejo, Ca. and can be reached at mpeters185@gmail.com if there are any questions. Remember the “Pet Rock”? 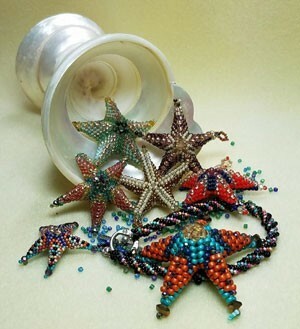 The student will use a combination of Peyote and Herringbone to create their own Pet Starfish out of four colors of seed beads. I will have kits available but I also provide over 50 tubes of size 11\0 seed beads to make their own choice. There is also a vast collection of little and small crystals and “tiny tims” from which to pick and choose to personalize their creation. Skill Level: Working knowledge of Peyote and Herringbone is appreciated, but I can help even the most beginner beader to create this fun technique. Please bring the following: bead mat, task lamp and extension cord, “readers” to help you see the bead holes.